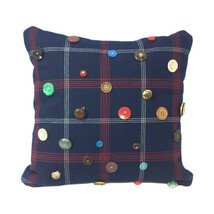 Navy plaid throw pillow with red and white accents adorned with a multitude of antique and vintage buttons. 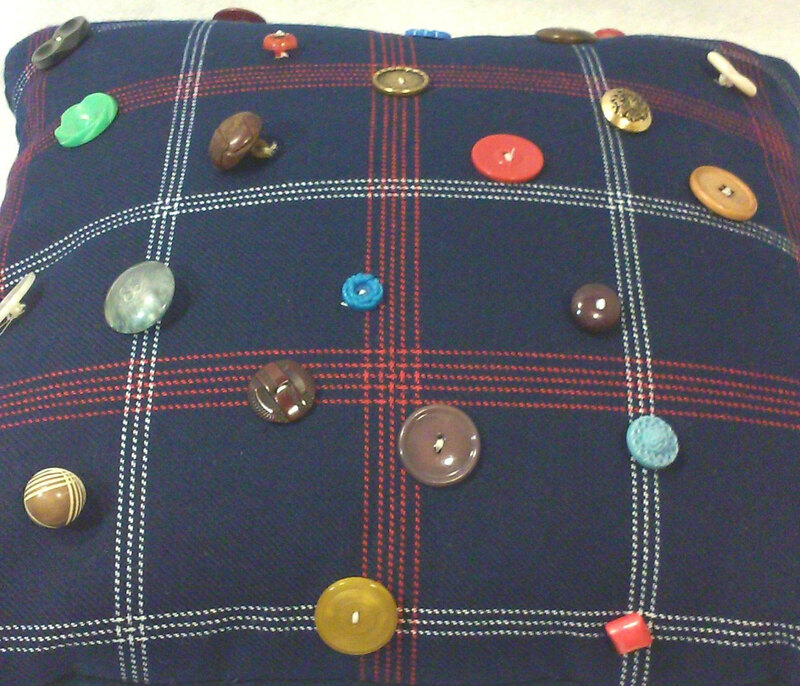 This custom made throw pillow is in a medium navy blue wool blend with red and white intersecting plaid stripes. 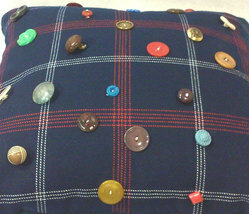 The back of the accent pillow is solid navy blue without any buttons or ornamentation. The vintage and antique buttons include bakelite, brass nautical, flowers, suit style, coat style and more of different sizes and colors arranged in a random fashion. The pillow has a vintage charm and is whimsical, classical and tailored. 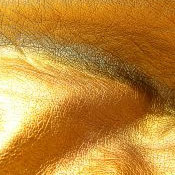 The pillow will blend with any interior decorating style, masculine or feminine. This custom made throw pillow is one of a kind and cannot be duplicated. As a home decor accent it is a real eye catcher and conversation starter. 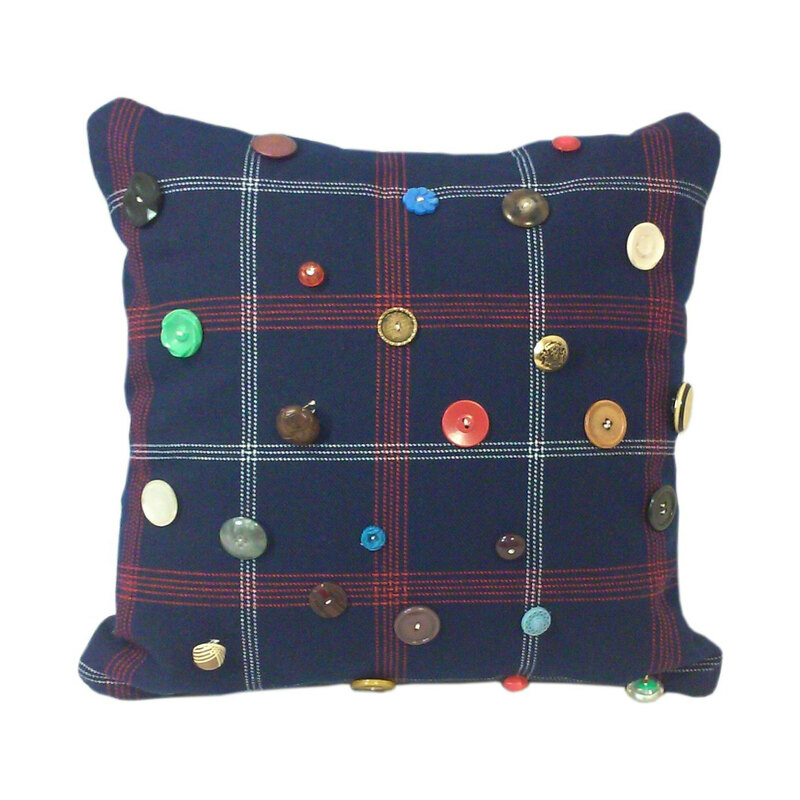 -Made of all new materials except vintage and antique buttons -16" square -Knife edge -Polyester pillow insert -Sewn shut, no zipper -Spot clean or hand wash in wool soap/drip dry.